December of 2018 marked 14 years since being diagnosed with Type 1 diabetes. The Spring of 2019 will mark 7 years of running. I often compare living with Type 1 diabetes to a roller coaster. Even as I just celebrated my diaversary this winter, I still have my moments when I feel that I do not have control. In looking back to the past fourteen years, it is easy for me to recognize the single biggest struggle I have faced while living with T1D—acceptance. Acceptance of T1D, acceptance to not always being in control, and acceptance to the fact that treatment alone will not keep me healthy. When my son was born five years ago, I recognized that the roller coaster of T1D continued to build momentum to an unhealthy life. I gained weight and realized that I needed to do more to stay healthy. It was at that time I decided that regardless of the treatment plan, I controlled my path moving forward. I decided I was going to run! Starting the journey was not easy. I was not able to make it to the end of my street and I live two houses from the end of the block. I was determined to not give up and slowly but surely, my new found routine did get easier. Over the past six plus years, training has been a continuous effort and on ongoing process. I started small and set short term goals. When I met a goal, I set my sights on something bigger. In just a short timeframe, I have transitioned from many 5k races to build distances of 10k, 15k, 10 miles, half marathon, triathlon, and two full marathons. I would not have been able to work my way up the racing ladder without the support of my insulin pump. Utilizing technology has played a huge factor in making such progress. Having my big brother on my hip keeps me confident in my management while exercising. With the improving technology also came a developing passion for running. In addition to the technology I utilize, I have played and experimented with many products to support the energy needed to run while keeping my blood sugars levels level or elevated, when needed. 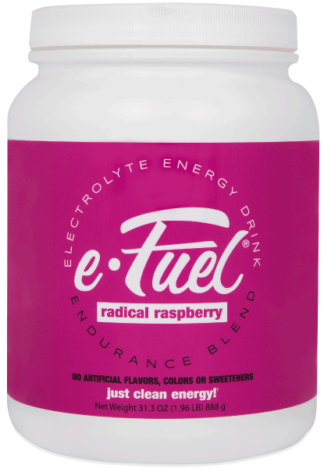 Over the years, nothing has compared to both e-Fuel and e-Gel. Both give me the support needed and have never let me down while running. As long as I have a few gels and e-Fuel in my bottle, I have the confidence that my energy will never run low and diabetes will stay in check. 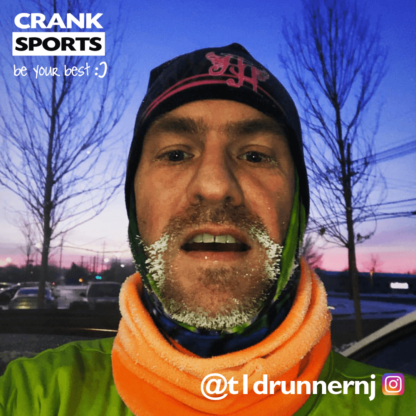 Through my running journey and improved control, I learned a great deal about myself, perseverance, and the understanding that I am able to live a healthy life with T1D. As an athlete living with Type 1, I am determined more than ever to spread the message of promise and hope throughout the running community. There is no embarrassment in my diagnosis. There is no shame on my roller coaster. There are only bright skies with the ability to continuously adapt to life with Type 1. I know now that it is OK to ask for help, seek advice, and lean on others for support. In 2017 I was named a Medtronic Global Champion, a program recognizing global athletes who face health challenges and, with the support of a medical device, live an active and fulfilling life through running. I was selected, from a pool of hundreds of athletes, to head to Minnesota and run in the Twin Cities Ten Miler as one of twenty people worldwide being recognized for not allowing a diagnosis to stop the run. I used both e-Gel and e-Fuel. As a runner with Type 1 diabetes, it not only gives me the energy and fuel I need as an athlete, but it helps me keep my blood sugar from bottoming out and allows me to keep on keeping on from 5ks all the way to full marathons.